Surrey RCMP hoping to identify a pair they think were shot at outside a restaurant on June 8. Jun. 29, 2015 7:00 a.m.
Surrey RCMP is looking for the public’s help in identifying two men they believe were the intended targets of a shooting near a restaurant on the Surrey-Delta border in early June. On June 8, just after 9 p.m., shots were fired in a parking lot near 72 Avenue and 120 Street. Two males who police say were eating at a nearby restaurant, are thought to be intended targets of the shooting, but fled the area in a blue vehicle before police arrived. Witnesses said the shots may have come from a silver SUV which also immediately fled. Mounties say to date, neither intended victim has been identified or come forward to file a police report. While police believe they know who one of the targets is, that person denies any involvement. 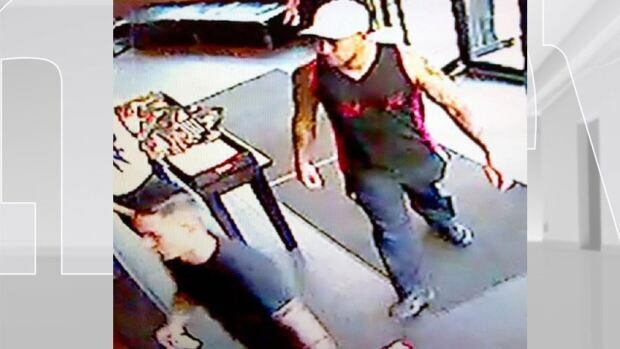 On Monday (June 30), Surrey RCMP released still images taken from security cameras in hopes the two men might be positively identified.